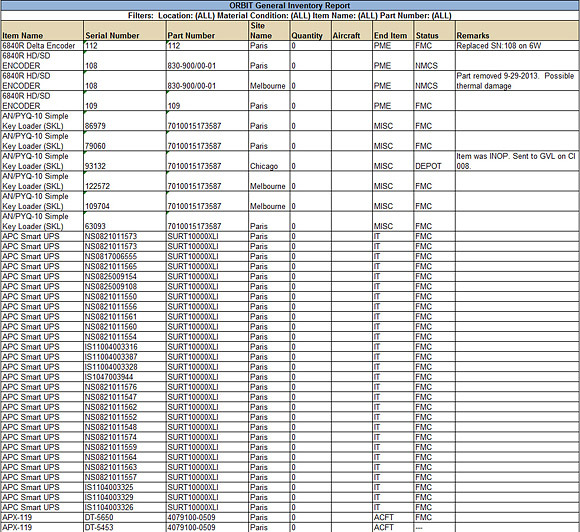 The Status Report gives a quick view of pertinent reporting information for any selected asset. 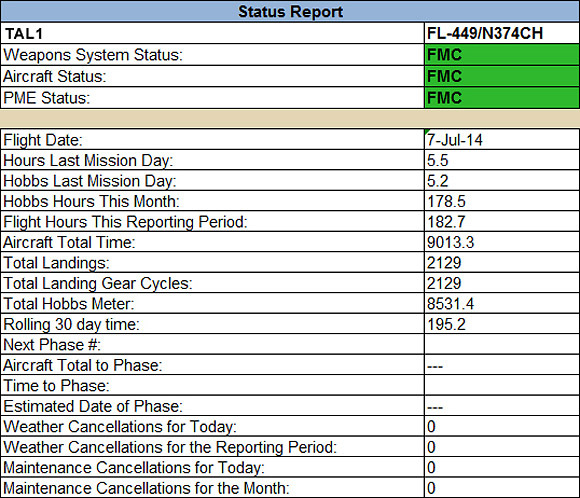 Various reports are available in the OMS Personnel Module including; personnel status, training expiration, and overdue reports for traveling personnel. All reports are available in multiple formats. 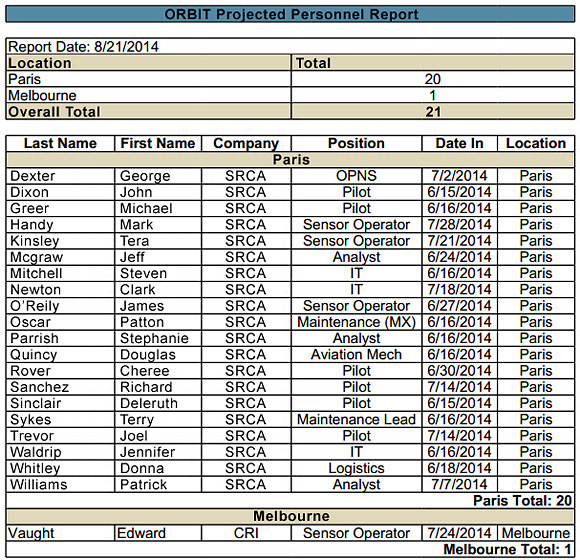 The ORBIT Web Portal provides options for inventory reporting, designed by the user.